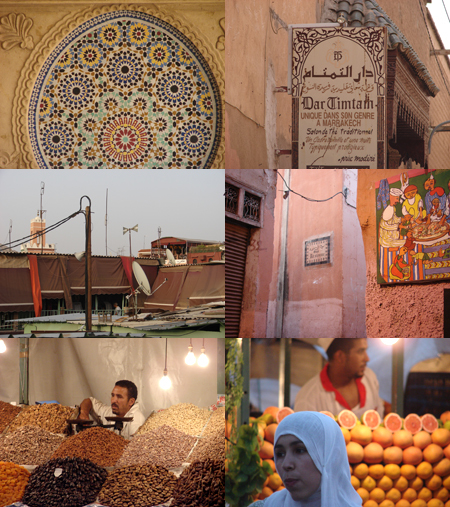 Morocco has definitely its own unique style, and the visually and graphically rich journey I experienced in “al-Maghreb al-Aqsa” was really beyond my expectations- inviting me to document it in every possible way. The colorful city of Marakesh, in its patterns, signs, street graphics, landscape and ornamental details has something very unique about it; a very Arabic Authentic style that absorbed influences from Europe, Africa and Arabia and that remains very typical to the furthest Arabic Country west. The city speaks its own visual language, visibly very different than any other city in the Arab World- and which have been borrowed by the rest of the Arab world, the Gulf specifically, in design, architecture, and urban planning. Never as exciting though as it is in its original context in Morocco. The Design details is what captured my attention most. 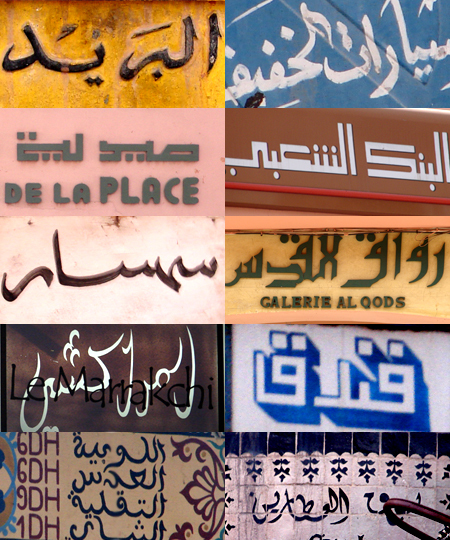 One of which is Arabic type used in signage on main roads, within the cities, and in small alleys. 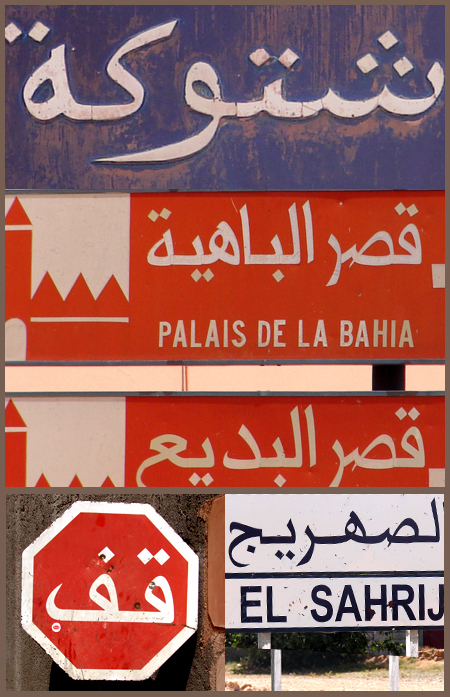 The signage in Morocco in itself has generally its own charm; but Arabic type and fonts in use in signage were particularly inspiring. The type in use on the white main road signage is charming, legible, traditional yet different from what is typically seen in signage design; and most importantly, is not widely used font across the Arab world (and that is why I couldn’t identify the font immediately). It could certainly be an excellent inspiration and source to revive such as a typeface.